Although Alcatel OneTouch is far from being one of the more popular smartphone makers, in more recent times, the company has stepped up its game a little. In an attempt to diversify its smartphone offering, the company has recently announced that it is working on its first Windows 10 Mobile smartphone. 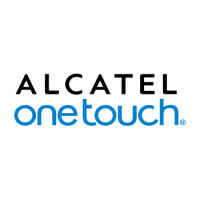 The announcement was made by Steve Cistulli, Alcatel OneTouch's senior vice president for North America, in a recent Interview with CNET. The exec said that the phone should be unveiled by the end of the year and that Alcatel OneTouch is "very supportive of the Windows ecosystem", but did not reveal further info. Fortunately, we're not left completely in the dark. According to Evan Blass, the famous tipster that's more commonly known by his Twitter handle @evleaks, the smartphone will be called the Alcatel OneTouch Fierce XL and will come with a combination of mid-range and entry-level specs. These include a 5.5-inch display with a resolution of 720 by 1280 pixels, a Qualcomm Snapdragon 210 chipset with a 1.1GHz quad-core processor, 2GB of RAM, and 16GB of internal storage space. The phone is also said to be LTE-compatible, and might come with an 8MP primary shooter and a 2MP secondary sensor on the front. If @evleaks is right about the name of the smartphone, we shouldn't rule out the possibility that a non-XL version of Alcatel OneTouch Fierce is also being planned. Here goes hoping that the 5.5-inch Alcatel OneTouch Idol 3, probably the best smartphone that Alcatel OneTouch has launched in a long while, will get a Windows 10 Mobile version as well. You're wasting your time Alcatel. SD 210 and 8 mp camera 2 gig ram and 720p sth not right i don't know if 210 even support that it better be 410.